I love to write. Ever since I was a little girl, I would write stories, poems, my thoughts down in a diary…and words would come so easily to me. Writing is how I feel most natural expressing myself. Writing and creating something from the heart is something that has always made me feel unique, a little different…special perhaps. Over the years, I have worked in many jobs. I have been a personal trainer, a dance teacher, a checkout girl, I worked in a zoo, as a waitress, a barmaid, a creche assistant, a personal banker, a business owner and life always brings me back to this… a writer! Whether it is pouring my heat out in a battered, leather journal at the end of each day, writing letters to friends, this blog…a postcard, life has made me a writer…because writing is what I love. As they say, do what you love and you’ll never work a day in your life, it’s so true. I’m pretty big on the ‘living life’ thing and getting the most out of it with my two little angels and my husband (a rather handsome chap called Matthew) in tow. 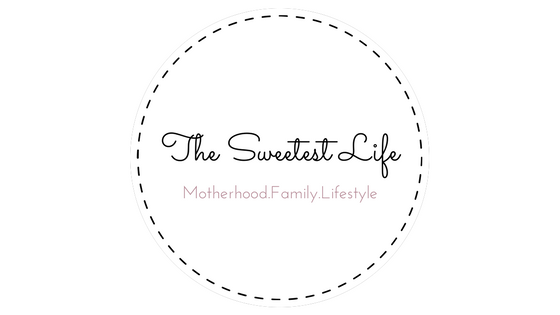 This is an all-round lifestyle blog and here I write everything from my life experiences and motherhood to health and beauty to style and travel. If I’m living it, I’m writing it… BUT everything I write has heart! I’m like the ‘Rocky’ of the Blogosphere. I don’t put out anything in to the world that I’m not one hundred percent proud of and I don’t/won’t/can’t write about anything that I don’t believe it. I pride myself on my moral compass and I’m all about keeping my integrity in tact. The opportunity to work with brands and companies is very exciting to me, it means that I get to do what I love and develop strong, working relationships. So, if you are from a Brand or a PR company…and you believe that we ‘fit’, please email Ria at riasweetestlife@gmail.com and I will be happy to discuss your ideas, needs and vision with you.